 CONVERSATION® is the largest European event dedicated to the conversational economy. The marketing, customer service, and customer experience departments gather for a day of interviews, roundtables, and inspiring speeches. Amina Esselimani , UX & Conversation designer , Founder at SpeakUX! Share your best ideas for the optimisation of customer experience. Here is a list of companies which will attend the 2019 edition. How to get to Nantes? We announce new speakers via email first.